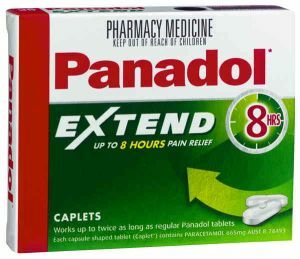 Using paracetamol for chronic pain? Take lutein as well. The carotenoid, lutein, has been found to protect rats from liver damage induced by either paracetamol (found in Panadol and many other painkillers), dry-cleaning fluid and alcohol. The liver-protective action may be due to lutein's antioxidant effects. Carotenoids are a class of natural fat-soluble pigments that are found in many fruits and vegetables. Consumption of a diet rich in carotenoids has been epidemiologically correlated with a lower risk for several diseases. Yet another study finding that a healthy diet needs to be high in fruits and vegetables. Lutein is also available as a supplement. Sindhu ER1, Firdous AP, Preethi KC, Kuttan R. J Pharm Pharmacol. 2010 Aug;62(8):1054-60. doi: 10.1111/j.2042-7158.2010.01123.x. 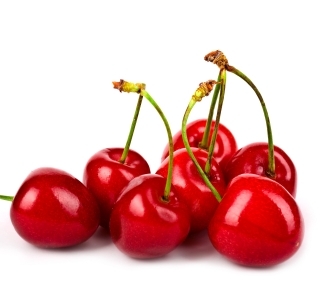 Cherries block the tubular reabsorption of urate and increase urate excretion in the urine. Cherry juice may also block xanthine oxidase and reduce the production of uric acid. In December 2012, Zhang and colleaguesfrom Boston University Medical Center published a very interesting paper in Arthritis and Rheumatism. In this case/control study, patients with gout were enrolled in an Internet-based registry. Investigators picked a 2-day period just before an attack of gout and compared that period with the 2 preceding days and the 2 subsequent days as control periods unrelated to an attack of gout. The investigators validated the diagnosis of gout in more than 550 patients by looking at medical records authorized by the patients for review, and found that this group of patients had more than 1250 attacks of gout. The investigators looked at various self-reported dietary items, including cherries and other unrelated foods. They found that the intake of cherries before an attack of gout reduced the likelihood of experiencing an acute attack of gout by one third compared with the intake of unrelated foods. Curcumin, the active compound in turmeric, may relieve symptoms of major depression—especially atypical depression, a subtype of major depression—according to a new Australian research. “The results of this study provide partial support for the antidepressant and anxiolytic effects of curcumin in people suffering from major depressive disorder,” the study authors, led Dr Adrian Lopresti of Murdoch University in Perth, Western Australia, note. Atypical depression is a unique form of major depression. Unlike other types of major depression, such as melancholic depression, which is associated with oversleeping, loss of appetite, and lack of mood improvement even if a positive event happens, atypical depression sufferers often experience insomnia, increased appetite or weight gain, fatigue, and the ability for mood to lift if a positive event occurs. Subjects are also very sensitive to feelings of rejection. Atypical depression is quite common. The randomised, double-blind, placebo controlled study included 56 people aged 18-65 living in the Perth metropolitan area who were randomly assigned to receive either curcumin (500mg) or placebo (cellulose). Patients were instructed to take one capsule, twice daily, for 8 weeks. The researchers found that for the first four weeks of treatment, both curcumin and placebo reduced depressive and anxiety symptoms. However during the second four weeks of the study, curcumin was significantly more effective than placebo in lowering self-reported depressive and anxiety symptoms. Curcumin, the primary active component of turmeric, is a potent antioxidant and may influence a number of different mechanisms associated with major depression, including mono-aminergic activity, immune-inflammatory pathways and the hypothalamus-pituitary-adrenal (HPA) axis. How does curcumin work on depression? The effects are likely partially due to the curcuminoid’s anti-inflammatory properties, the researchers surmise, at least when it comes to atypical depression, which is often associated with higher levels of inflammation. Other factors might also be at play. Lopresti et al., 2014, J. Affect. Disord. 2014;167: 368-375. Researchers from Flinders University are on a ground-breaking journey to prove – and prevent – the cancer-causing effects of eating red meat. In a world first, the team of scientists has generated preliminary evidence to show that red meat increases lesions on the DNA of the colon which, left unrepaired, could lead to mutations, raising the risk of colorectal cancer. Now, the group is trying to find a way to correct this specific type of DNA damage by delivering resistant starch directly to the colon where it converts to short chain fatty acids, thereby reversing the damage. “The body has its own system to repair these lesions but we’re not sure how much red meat tips this repair mechanism over the edge, making the individual more susceptible to mutations and cancer,” PhD candidate Jean Winter, who is leading the study, said. “What we do know is that resistant starch ferments in the colon and turns into short chain fatty acids, and these short chain fatty acids have been shown in animal models to reduce cancer rates,” she said. Using mouse models that are prone to colon cancer because they lack the genes to repair either the lesions or subsequent mutations, the researchers hope to confirm their theory that DNA lesions increase with red meat and that resistant starch protects against, or reverses, the damage. Mrs Winter, who is also a research assistant based in the Cancer Prevention Unit of the Flinders Centre for Innovation in Cancer, said the ultimate aim of the study was to prevent cancer from the outset. “Colorectal cancer is the second-most diagnosed cancer in Australia and we actually have the highest incidence of colorectal cancer in the world,” she said. Michael Thomsen is an experienced naturopath and herbalist with over 30 years experience. He has a Master of Science, Graduate School of Integrative Medicine at Swinburne University. Michael provides a comprehensive cancer support programme including herbal and nutritional medicines to safely support you during and after your medical treatment. Food additives and chronic disease risk: what role do emulsifiers play? Have you ever wondered what those food additive numbers in the ingredients list on your food packaging meant and what they were really doing to your body? A recent study suggests emulsifiers – detergent-like food additives found in a variety of processed foods – have the potential to damage the intestinal barrier, leading to inflammation and increasing our risk of chronic disease. The research was done on mice, so it’s too early to say humans should stop eating emulsifiers, but let’s examine the mechanisms involved. The lining of our gastrointestinal tract has one of the toughest jobs around. It must allow fluid and nutrients to be absorbed from our diet, while also acting as a barrier to prevent the invasion of toxins and harmful bacteria into our bodies. The cells that make up the intestinal lining secrete a gel-like mucus and a variety of antimicrobial substances, which normally protect them from bacterial infection. But changes in the types of microorganisms living in the gut – from drinking too much alcohol, viral infections, certain drugs and exposure to radiation – can all reduce the integrity of the gastrointestinal barrier. The hundreds of species of microscopic bugs living in the human gastrointestinal tract (collectively called the “gut microbiota”) play an important role in assisting us to digest food, educating our immune system during its development and increasing the absorption of important minerals from our diet. Some beneficial species of bacteria can even break down the food that reaches our bowel to produce special types of fats, called short-chain fatty acids. Once absorbed into our bloodstream, these fatty acids can positively influence health by reducing our appetite and lowering our blood sugar levels. 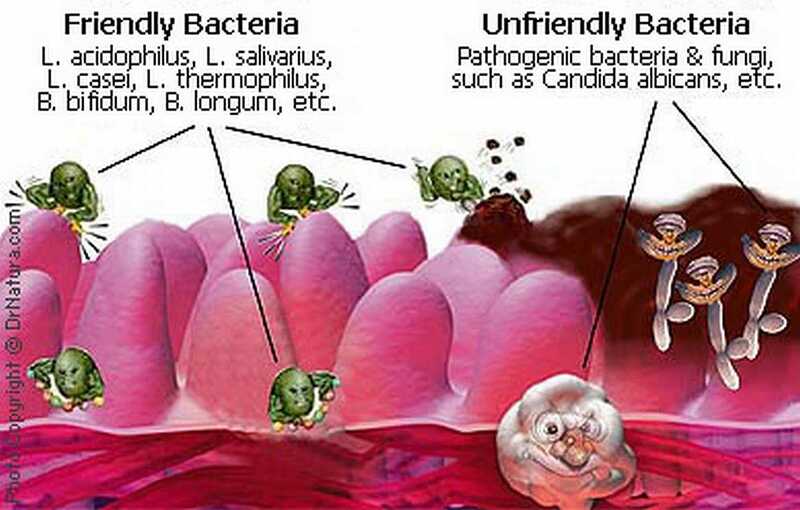 Under normal circumstances, the gut microbiota are unable to grow on the thick mucus layer attached to the intestinal cells. However, if our intestinal lining becomes damaged, specific harmful bacteria are able to move from our gut across the lining and into our bloodstream. Immune cells in the blood then recognise and try to attack the foreign invaders by producing inflammatory compounds. Over time, this can result in a chronic low level of inflammation in the gut and throughout the body. The word inflammation comes from the Latin “inflammatio”, meaning set alight or ignite. It’s the body’s attempt to protect itself by removing harmful stimuli, including damaged cells, irritants or pathogens, and begin the healing process. Inflammation is part of the body’s immune response. Initially, it is beneficial when, for example, you scratch your hand and the body mounts an innate immune response to send immune cells to the area to attack foreign microbes and repair the damage. Without inflammation, infections and wounds would never heal. However, sometimes inflammation can become self-perpetuating; more inflammation is created in response to the existing inflammation. This is known as chronic inflammation. It may be caused by overactive immune system reactions, non-degradable pathogens and infections with some viruses. It also occurs with autoimmune diseases such as Crohn’s Disease, rheumatoid arthritis and in heart disease, diabetes or stroke. Uncontrolled chronic inflammation is harmful and leads to tissue damage. This results in side-effects such as fatigue and pain and, in some instances, organ failure. The cause of chronic inflammation in these types of diseases is still unknown. So, what do emulsifiers do to the gut? 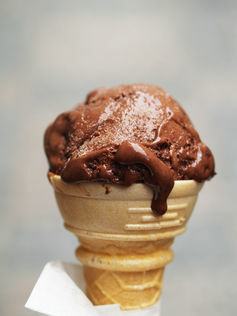 Emulsifiers are natural or chemical substances that consist of a “water-loving” end and an “oil-loving” end. They’re commonly used to combine ingredients that normally don’t mix together, such as oil and water. 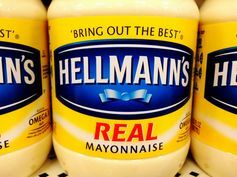 It would be impossible, for instance, to make mayonnaise without using lecithin (found in egg yolk) as an emulsifier to evenly mix the oil and lemon juice together. Emulsifiers are added to bread, salad dressings, sauces, puddings, margarine and ice-cream, to makes it smoother and more resistant to melting. The authors of the recent Nature article added two common emulsifiers, food additive E466-carboxymethylcellulose (CMC) and polysorbate-80 (P80) to the drinking water and food of lab mice. The mice showed a change in the species of bacteria growing in their gut when compared to controls, with reduced numbers of bacteria considered beneficial to health, and increased levels of inflammation-promoting microbes. The mucus layer that usually shields intestinal cells from invading pathogens had become colonised with mucus-eating bacteria in the emulsifier-fed mice, resulting in a thinner mucus barrier. In comparison to control mice, previously healthy mice that were fed emulsifiers had low-level gastrointestinal inflammation, ate more food and gained more weight (especially body fat), had higher blood sugar levels and were resistant to the action of insulin. The condition of the mice resembles a human condition that is increasing in prevalence called the metabolic syndrome. People with the metabolic syndrome have excessive fat around their abdomen, high blood pressure, increased levels of “bad” LDL-cholesterol and reduced levels of “good” HDL-cholesterol, and poor control of blood sugar. It also increases the risk of chronic diseases such as type 2 diabetes, heart disease and stroke. To demonstrate that the altered gut microbiota were responsible for the inflammatory disorders seen in the emulsifier-fed mice, the researchers transferred gut bacteria from the emulsifier-fed mice into germ-free mice (mice raised in sterile conditions so they have no gut bacteria). The germ-free mice subsequently developed mild inflammation and symptoms of the metabolic syndrome. When emulsifiers were fed to mice that were genetically prone to develop colitis (inflammation of the colon), these mice developed severe colitis. This may have future implications for sufferers of inflammatory bowel disease. 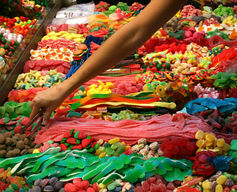 the last half-century has witnessed a steady increase in the consumption of food additives, many of which have not been carefully tested as they were given “generally regarded as safe” status at the time that government entities charged with regulating food safety were created and/or expanded. The United States Food and Drug Administration has approved polysorbate-80 for use in select foods up to 1%, while E466 has not been extensively studied but is deemed “generally regarded as safe” and is used in various foods at up to 2.0%. Food Standards Australia New Zealand has approved polysorbate-80 (code number 433 in Australia) and E466 for use in foods with “good manufacturing practice” with no maximum levels. The study findings highlight the need for regulatory bodies to ensure that food additives are initially tested for safety and continue to undergo long-term monitoring for their effects on chronic health conditions. But it’s too early to remove all emulsifiers from our diets in order to prevent developing the metabolic syndrome. Dietary emulsifiers clearly affect the metabolic health of mice, but it’s unknown whether emulsifiers impact human health. Humans have been consuming natural emulsifiers for thousands of years, while mice don’t eat emulsifiers in their normal diet. We also need to determine the quantities that humans are likely to consume over long time periods and their possible metabolic consequences. For the main experiments in the study, the mice were fed concentrations of emulsifiers greater than the average daily human intake. Multiple factors contribute to the development of the metabolic syndrome. The over-consumption of kilojoules from highly processed diets and insufficient physical activity remain the primary culprits and should be addressed in the first instance. However, these studies drive home the importance of cooking using fresh ingredients and avoiding or minimising the use of processed foods. Everyone should start reading food ingredient labels and become more aware of what they are really feeding their family. The beginning of the school year marks the return to routine for most of us. No matter what your New Years’ resolutions may or may not have been, the year is now well and truly off and running and this is where good habits can either become well established-or profoundly unstuck!!! Research suggest that it takes about 6-8 weeks for a new habit or routine to become really established, so when we give our clients dietary and lifestyle advice we encourage patience and persistence, but also checks and accountability (for instance a food or exercise diary can be a really useful tool). I often encourage clients to keep a small notebook listing how certain exercise or foods affect how you feel-feeling good should be a pretty high motivator!! 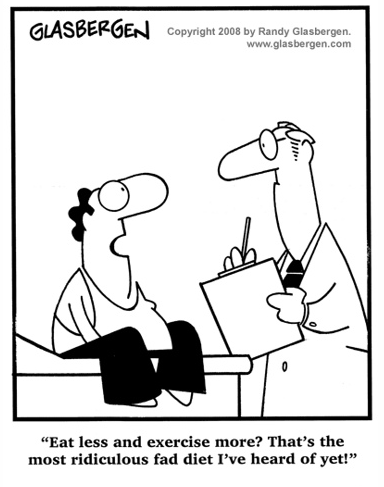 Here in the clinic we are also happily into the New Year. We have reinstated our own dispensary and can now provide herbal medicines and supplements in house. We are trialing a fantastic new range of probiotics at the moment-so far with excellent results. We are also able to pass on some great specials on fish oils and COQ10. Both are great for cardiovascular health in addition to a range of other benefits. We are also increasing other resources including patient information handouts to increase involvement in your own wellbeing. DIETS - REAL FOOD OR FAD? There seems to be a new diet or way of eating being touted almost every week in the media. Some last for a nanosecond but others persist for a year or two before they’re confined to the back shelf. There’s a huge discrepancy at times with these food fads and good evidence or scientific rigour, while others do seem to actually hold up to the science. Food is something we need to keep us well, its something that should be pleasurable and whenever possible shared in good company. We generally advocate sensible healthy eating mostly based on the Mediterranean diet, which has for aeons been associated with longevity and reduced risk of chronic disease. As many of you will know, in addition to her passion for women’s health and fertility support, Erin has a profound interest in the management of anxiety disorders and mental health. Herbal medicine is arguably our best tool in the management of these conditions as well as (you guessed it!) exercise! There is also some great research into the use of good dietary management to support mental health. Researchers examined the association dietary protein sources in early adulthood and risk of breast cancer. The study was a prospective cohort study – A prospective cohort study follows over time a group of similar individuals (cohorts) who differ with respect to certain factors under study, to determine how these factors affect rates of a certain outcome. The study was based on data from nearly 90,000 premenopausal women from the Nurses’ Health Study II who completed a questionnaire on diet in 1991. 2830 women developed invasive breast cancer cancer during 20 years of follow-up. The study found that higher intake of red meat was associated with an increased risk of breast cancer overall. However, higher intakes of poultry, fish, eggs, legumes, and nuts were not related to breast cancer overall. The recommendation from this study is very clear: restrict consumption of red meat, especially during the teenage and early adult years. 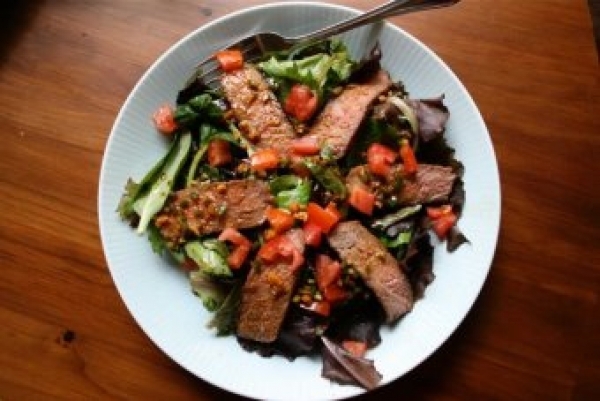 Replace red meat with a combination of legumes, poultry, nuts and fish. We recommend tofu and tempeh. Compounds found in soy, known as isoflavones, have additional anticancer properties. Some people are concerned about possible negative effects of soy on the thyroid gland. As long as you are not iodine deficient, soy has no negative effect on the thyroid. Substituting one serving per day of legumes for one serving of red meat was associated with a 15% lower risk of breast cancer among all women and a 19% lower risk among premenopausal women. Also, substituting one serving per day of poultry for one serving of red meat was associated with a 17% lower risk of breast cancer overall and a 24% lower risk of postmenopausal breast cancer. We of course recommend free range, organic chicken to avoid cruelty and hormones. Furthermore, substituting one serving of combined legumes, nuts, poultry, and fish for one serving of red meat was associated with a 14% lower risk of breast cancer overall and premenopausal breast cancer. I was awarded a travel scholarship to present on the state of integrative oncology in Australia at the annual conference of the Society for Integrative oncology in Houston, USA. It was a wonderful conference with great presentations from passionate clinicians, researchers and patient advocates – all working to improve cancer treatment, care and survivorship. Integrative oncology is a relatively new concept in Australia, yet it is estimated that one in every four cancer patients in Australia use complementary therapies. For example, 87% of breast cancer patients reported using CAM. The most commonly used therapies are dietary and psychological support, botanicals, relaxation, meditation, vitamins and positive imagery. 40% of patients do not discuss their use of CAM with their physician. The Consortium of Academic Health Centres for Integrative Medicine defines integrative medicine as “the practice of medicine that reaffirms the importance of the relationship between practitioner and patient, focuses on the whole person, is informed by evidence, and makes use of all appropriate therapeutic approaches, healthcare professionals, and disciplines to achieve optimal health and healing”. Integrative oncology has been specifically described as both a science and a philosophy that focuses on the complex health of people with cancer and proposes an array of approaches to accompany the conventional therapies of surgery, chemotherapy, molecular therapeutics, and radiotherapy to facilitate health . These other approaches include naturopathy, herbal and nutritional medicines, specific exercises, yoga, oncology massage, relaxation and stress reduction and other body-mind techniques and many more complementary therapies. It was especially affirming to mingle with medical and radiation oncologists as an equal. The past and current presidents of the Society for Integrative Oncology are both naturopaths. In these circles, naturopaths are respected health practitioners with as much to contribute to the care of cancer patients as any other practitioner. The second conference was the annual scientific meeting of the Clinical Oncology Society of Australia (COSA). I only managed to get to a few lectures and selected the presentations on integrative oncology. One of the highlights was the use of medical cannabis in the treatment of cancer pain. Donald Abrams, M.D. is chief of the Hematology-Oncology Division at San Francisco General Hospital and a Professor of Clinical Medicine at the University of California San Francisco. He has an Integrative Oncology consultation practice at the UCSF Osher Center for Integrative Medicine. Come on Tasmania’s government - get these medical cannabis trials underway. A new source of income for Tasmania and a great medicine for cancer patients. The use of cannabis should be legalised now. The third conference was the World Cancer Congress organised by the Cancer Council of Australia and the Union for International Cancer Control in partnership with the UN, WHO and many other international organisations. One presentation was frightening. It was on the obesity epidemic and the increased risk of cancer. The pattern is the same as previously for tobacco. Much is known about tobacco and cancer risk and it appears that we can virtually replace the word tobacco with obesity and the same horrific scenario emerges. There is a lag period from the peak of the obesity epidemic and the level of cancer of 20 years. This means that in spite of tackling the obesity epidemic today we will see a tremendous peak in cancer 20 years from now. The researchers are calling for a campaign like the antismoking campaign. They are calling for a tax on unhealthy food, a ban on TV advertising of fast and unhealthy food, educational campaigns etc. I suggest plain packaging chips and lollies and taking fast food companies to court for lying about the health risks of their products! Michael is an experienced naturopath and herbalist with over 28 years experience. He has a Master of Science, Graduate School of Integrative Medicine at Swinburne University. Michael has a special interest in Integrative Oncology and works in close collaboration with Hobart Hyperthermia featuring a German whole-body infrared hyperthermia system used to care for cancer patients. Kligler B, Maizes V, Schachter S, et al. Core competencies in integrative medicine for medical school curricula: a proposal. Acad Med 2004; 79: 521– 31. Sagar SM. 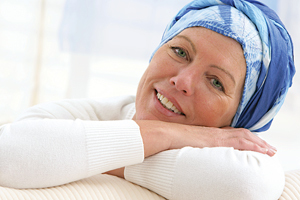 The integrative oncology supplement—a paradigm for both patient care and communication. Curr Oncol 2008; 15: 166 – 7. The World Cancer Research Fund International has just released two new reports: Diet, nutrient, physical activity and breast cancer survivors and Diet, nutrient, physical activity and prostate cancer. Lower intake of total fat, and in particular, saturated fats. Women who exercise have a greater chance of surviving breast cancer. Women who consume a high animal fat diet before developing breast cancer has an increased risk of dying from the disease. There is strong evidence that being overweight or obese increases the risk of advanced prostate cancer. There is less strong evidence to support that a higher consumptions of dairy products increases the risk of prostate cancer (we recommend avoiding milk and yellow cheeses and use fermented dairy products and products made from goat’s or sheep milk). Low levels of vitamin E and selenium and high levels of calcium may also be risk factors. Exercise: must be weight bearing, high impact to protect against bone loss due to anti-hormone medication. Eat a healthy diet (we recommend a Mediterranean, predominantly plant-based diet). We still hear and read a lot about how a diet based on what our Stone Age ancestors ate may be a cure-all for modern ills. But can we really run the clock backwards and find the optimal way to eat? It’s a largely impossible dream based on a set of fallacies about our ancestors. There are a lot of guides and books on the palaeolithic diet, the origins of which have already been questioned. It’s all based on an idea that’s been around for decades in anthropology and nutritional science; namely that we might ascribe many of the problems faced by modern society to the shift by our hunter-gatherer ancestors to farming roughly 10,000 years ago. Many advocates of the palaeolithic diet even claim it’s the only diet compatible with human genetics and contains all the nutrients our bodies apparently evolved to thrive on. While it has a real appeal, when we dig a little deeper into the science behind it we find the prescription for a palaeolithic diet is little more than a fad and might be dangerous to our health. The basic argument goes something like this: over millions of years natural selection designed humans to live as hunter-gatherers, so we are genetically “mismatched” for the modern urbanised lifestyle, which is very different to how our pre-agricultural ancestors lived. The idea that our genome isn’t suited to our modern way of life began with a highly influential article by Eaton and Konner published in the New England Journal of Medicine in 1985. Advocates of the palaeolithic diet, traceable back to Eaton and Konner’s work, have uncritically assumed a gene-culture mismatch has led to an epidemic in “diseases of civilisation”. Humans are, it’s argued, genetically hunter-gatherers and evolution has been unable to keep pace with the rapid cultural change experienced over the last 10,000 years. These assumptions are difficult to test or even outright wrong. What did our Stone Age ancestors eat? Proponents of the palaeolithic diet mostly claim that science has a good understanding of what our hunter-gatherer ancestors ate. Let me disavow you of this myth straight away – we don’t – and the further back in time we go the less we know. What we think we know is based on a mixture of ethnographic studies of recent (historical) foraging groups, reconstructions based on the archaeological and fossil records and more recently, genetic investigations. We need to be careful because in many cases these historical foragers lived in “marginal” environments that were not of interest to farmers. Some represent people who were farmers but returned to a hunter-gatherer economy while others had a “mixed” economy based on wild-caught foods supplemented by bought (even manufactured) foods. The archaeological and fossil records are strongly biased towards things that will preserve or fossilise and in places where they will remain buried and undisturbed for thousands of years. What this all means is we know little about the plant foods and only a little bit more about some of the animals eaten by our Stone Age ancestors. Life was tough in the Stone Age, with high infant and maternal mortality and short lifespans. Seasonal shortages in food would have meant that starvation was common and may have been an annual event. People were very much at the mercy of the natural environment. During the Ice Age, massive climate changes would have resulted in regular dislocations of people and the extinction of whole tribes periodically. Strict cultural rules would have made very clear the role played by individuals in society, and each group was different according to traditions and their natural environment. This included gender-specific roles and even rules about what foods you could and couldn’t eat, regardless of their nutritional content or availability. For advocates of the palaeolithic lifestyle, life at this time is portrayed as a kind of biological paradise, with people living as evolution had designed them to: as genetically predetermined hunter-gatherers fit for their environment. But when ethnographic records and archaeological sites are studied we find a great deal of variation in the diet and behaviour, including activity levels, of recent foragers. Our ancestors – and even more recent hunter-gatherers in Australia – exploited foods as they became available each week and every season. They ate a vast range of foods throughout the year. They were seasonably mobile to take advantage of this: recent foraging groups moved camps on average 16 times a year, but within a wide range of two to 60 times a year. There seems to have been one universal, though: all people ate animal foods. How much depended on where on the planet you lived: rainforests provided few mammal resources, while the arctic region provided very little else. Studies show on average about 40% of their diet comprised hunted foods, excluding foods gathered or fished. If we add fishing, it rises to 60%. Even among arctic people such the as Inuit whose diet was entirely animal foods at certain times, geneticists have failed to find any mutations enhancing people’s capacity to survive on such an extreme diet. Research from anthropology, nutritional science, genetics and even psychology now also shows that our food preferences are partly determined in utero and are mostly established during childhood from cultural preferences within our environment. 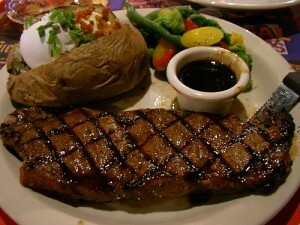 The picture is rapidly emerging that genetics play a pretty minor role in determining the specifics of our diet. Our physical and cultural environment mostly determines what we eat. One of the central themes in any palaeolithic diet is to draw on the arguments that our bodies have not evolved much over the past 10,000 years to adapt to agriculture-based foods sources. This is nonsense. There is now abundant evidence for widespread genetic change that occurred during the Neolithic or with the beginnings of agriculture. Large-scale genomic studies have found that more than 70% of protein coding gene variants and around 90% of disease causing variants in living people whose ancestors were agriculturalists arose in the past 5,000 years or so. Textbook examples include genes associated with lactose tolerance, starch digestion, alcohol metabolism, detoxification of plant food compounds and the metabolism of protein and carbohydrates: all mutations associated with a change in diet. The regular handling of domesticated animals, and crowded living conditions that eventually exposed people to disease-bearing insects and rodents, led to an assault on our immune system. It has even been suggested that the light hair, eye and skin colour seen in Europeans may have resulted from a diet poor in vitamin D among early farmers, and the need to produce more of it through increased UV light exposure and absorption. So again, extensive evidence has emerged that humans have evolved significantly since the Stone Age and continue to do so, despite some uninformed commentators still questioning whether evolution in humans has stalled. In the end, the choices we make about what to eat should be based on good science, not some fantasy about a lost Stone Age paradise. In other words, like other areas of preventative medicine, our diet and lifestyle choices should be based on scientific evidence not the latest, and perhaps even harmful, commercial fad. If there is one clear message from ethnographic studies of recent hunter-gatherers it’s that variation – in lifestyle and diet – was the norm. There is no single lifestyle or diet that fits all people today or in the past, let alone the genome of our whole species. Wholebody hyperthermia is available in Australia. Three clinics have the same hyperthermia units as featured in the Sunday Night program. For safety reasons, the clinics provide moderate hyperthermia to about 39 degrees. Moderate hyperthermia is much safer and does not require sedation. 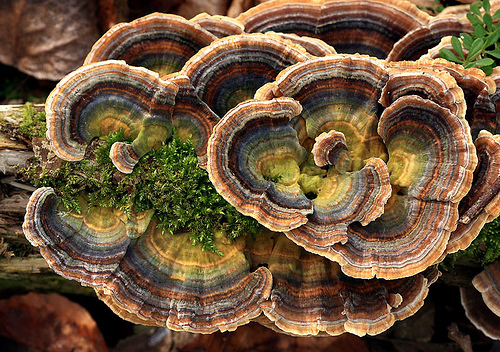 It will reactivate the immune system to fight the infection and may increase the effects of antibiotics 16 fold. This would provide a rational therapy for Lyme's disease. (Thomas E. Levy is a board-certified internist and cardiologist. Seeing was believing, and I realized the entire way that I approached patient care simply had to change. I needed learn a lot more about the intravenous delivery of this molecule known as ascorbic acid, or ascorbate. I resolved to research this vitamin as completely as possible, learn the nuances of that research as best I could, and then proceed to spread the word on the application of this incredibly potent, inexpensive, and non-toxic substance. A systemic review of nine clinical studies examining blood pressure and probiotic consumption in 543 adults with normal and elevated blood pressure has concluded that probiotic supplementation was associated with reduced blood pressure. The probiotics need to be taken for at least two months. Probiotics may help lower blood pressure by having other positive effects on health, including improving total cholesterol and low-density lipoprotein, or LDL, cholesterol; reducing blood glucose and insulin resistance; and by helping to regulate the hormone system that regulates blood pressure and fluid balance. The effect on blood pressure is modest, however, probiotics has many other benefits including better intestinal health.